According to the release the claims cover an area of 1160ha and are located 40 km northwest of Flin Flon, Manitoba. Eagle Plains Resources (TSXV:EPL) has acquired by staking, a block of claims that cover the historic Schotts Lake copper-zinc VMS deposit. According to the release the claims cover an area of 1160ha and are located 40 km northwest of Flin Flon, Manitoba. The claims are 100-percent owned by Eagle Plains and carry no underlying royalties or encumbrances. A number of different historical resources have been estimated for the Schott’s Lake Deposit (SMDI 0320). They range from 925,000 tons averaging 0.64 percent copper, 1.16 percent zinc (Hudson Bay Exploration and Development 1954) to 4.5 million tonnes of 0.41 percent copper, 1.26 percent zinc (Aur Resources 1998). 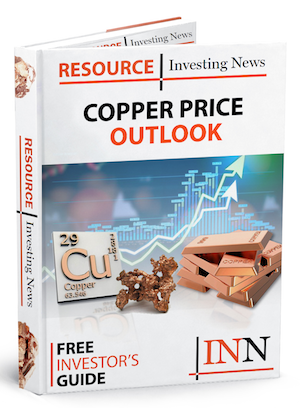 The most recent resource estimate was by Aur in 2003 who estimated a Geological Resource of 1,985,850 tonnes grading 0.61 percent copper and 1.35 percent zinc. Click here to read the full Eagle Plains Resources (TSXV:EPL) press release.